Although this post only compares us to large chain pet care companies, don’t forget to check out our other blog post called “The 6 Different Types of Dog Walkers You Can Hire” by clicking here. In conclusion, be careful when choosing who to watch after the little family members, because making the wrong decision could have long lasting effects on your family, human and furry alike. We hope that you choose a reliable and well known company who has a strong foothold in the community like ours and others in our town as well! This entry was posted in Dog Walking and tagged dog walk, dog walker, dog walking. Bookmark the permalink. My sister will be going on a long vacation and there will be no one who will watch her pet. 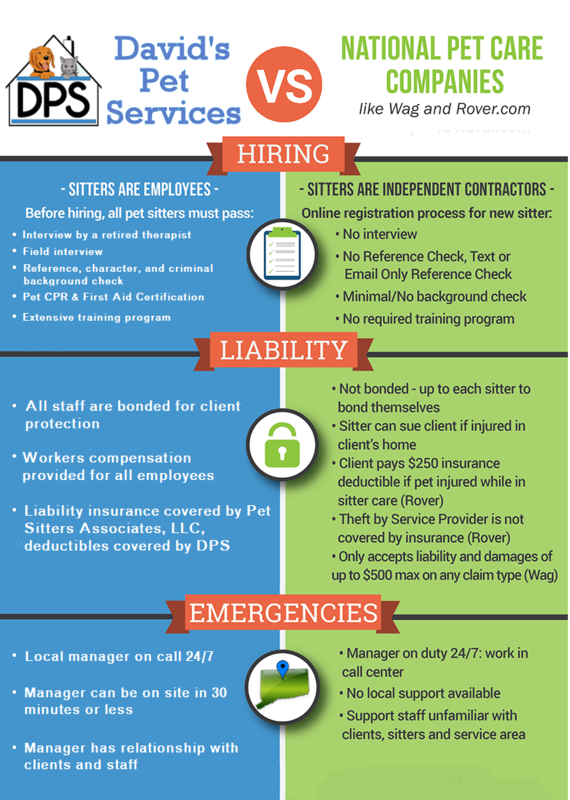 It was explained here that pet services have liability insurance covered by the petting sitting company. Moreover, it’s better to leave the pet to pet services.